 Explore The Pros And Cons Of Scorpio Relationship! Two Scorpios together deserve a wow! All that passion, intrigues, and dark undercurrents – you must be really tough to stomach it all and be together still. We know the secret ingredient that keep you cemented together in a happy relationship – and it is trust. However, you both are jealous and suspicious by nature. It’s understandable that you can’t avoid exercising them, but please do not involve your relationship. Trust each other and suspect everyone else of whatever you please – just do it together, and you’ll have a wonderful, though a little dark-ish, just like everything Scorpian, happy-ever-after.